When I meet with customers to discuss the capabilities they want included within their business PCs, the same three requirements come up time and again. First and foremost, they want to protect their data, so incorporating the absolute latest in security technology is paramount. Next, they want to easily deploy and manage the systems they issue to employees and not have their IT department spend inordinate amounts of time maintaining individual systems. And finally, they want the devices to deliver high performance, have a quality build that last a long time and receive fast and efficient support if there’s ever an issue. In addition to meeting the needs of IT administrators, we also take into consideration the needs of the employees who will use the device every day. For example, today’s workforce doesn’t want to be tied down. Whether working from home, a coffee shop or an airport, mobile workers want to be productive no matter where they are. This is a big challenge facing organizations of all sizes because they must simultaneously keep these devices up to date and secure while they’re outside the company firewall. In fact, with workers placing a greater importance on workplace technologies than ever before, ensuring the safety and mobility of a workforce – while also providing up to date solutions – has never been more important. Research shows that employees are not only demanding the latest workplace technologies, they are willing to leave their current jobs to find a role that meets their IT demands. Dell’s recently conducted Global Evolving Workforce survey reveals that one quarter of all employees globally would be influenced to take a new position based on the technology offered. This need for the latest and greatest technologies stretches to the very top of organizations, with those in management roles more likely to demand the best devices as a precursor to staying with their current role. Today’s employees are not only expecting the latest devices, but the technology they use is also having a growing impact on productivity. More than 75 percent of employees believe technology has influenced their productivity outputs in the past year, while 41 percent believe having the latest form of every workplace technology is very important. As the research shows, a productive workplace no longer only requires dedicated employees and a strong company culture – it also needs high quality devices that allow employees to be mobile and secure. That’s why earlier this month I was excited to announce the latest updates to our leading range of Latitude solutions. Our new thin and light business solutions including the Latitude 13 7000 Series 2-in-1, Latitude 7000 Series, Latitude 5000 Series and Latitude 3000 Series – as well as the Dell Venue 11 Pro 7000 Series tablet – all have 5th generation Intel® Core vPro™ processors at the heart of their systems, providing business with the most secure, manageable and reliable mobile solutions on the market. Leading built-in security features – Companies can protect data, identities and network access with Intel’s new Digital Fence Technology. This advancement encrypts company data when users are outside of the network. Additionally, with Intel’s secure managed containers, professional and personal information is stored separately. When combined with Dell Data Protection | Encryption – which encrypts data at the file level no matter where it goes – these features deliver multiple layers of data security and help provide peace of mind for customers in today’s perilous security environment. Fewer wires – You can help eliminate the “cord spaghetti” running across and under desks and conference room tables with the new Intel Wireless Gigabit technology built into these new processors. Employees now will be able to automatically dock to monitors, keyboards and USB accessories wirelessly. And they can leave the dongles behind thanks to Intel Pro Wireless display technology which allows users to simply and securely connect and project presentations in a conference room. Greater platform stability – IT Departments can enjoy the platform stability they need while also enjoying remote manageability to track and manage devices from any location. 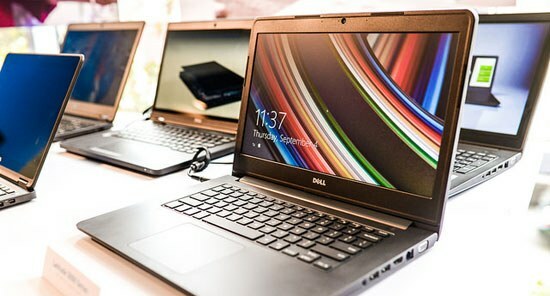 Extended battery life – Employees will enjoy even greater battery life in their Dell Latitude and Venue solutions through the energy efficiency provided by the Intel Core vPro processors. 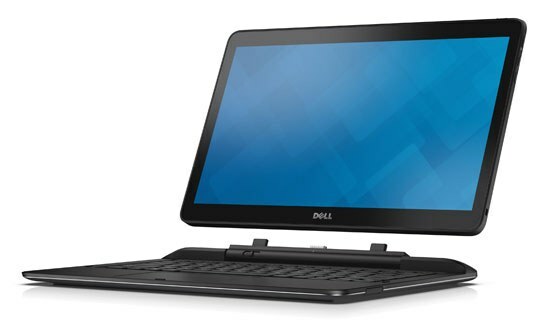 The introduction of the 5th Generation Intel Core vPro processors within Dell’s latest commercial PC, 2-in-1 and tablet solutions is indicative of our longstanding goal to provide customers with the absolute best technologies available. This helps ensure company issued devices not only meet the security, manageability and reliability demands of the IT department, but also satisfy the growing performance, mobility and design expectations of their workforce.